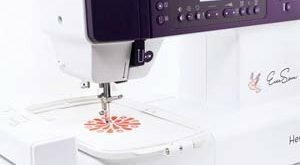 Review of Brother PE770 Embroidery Only Machine - Good or Bad? 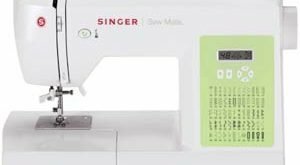 This is a detailed review of brother PE770 embroidery machine. In this brother PE770 review, we tell you why you should buy this embroidery machine, its features, who it is best suited for, pros and cons – in-fact all the info you need to decide. Brother PE-770 embroidery machine has a lot of amazing features that even some of the high end machines do not have. In all, it is a superb machine for beginners who are looking forward to having their first embroidery machine unit. Brother PE770 has design options that are actually unlimited. Apart from the in-built designs, you can also import designs with the help of memory card or USB. This machine has much memory available where you can easily store the uploaded designs. Even the in-built software allows for editing and other features like rotate, decrease or increase size and mirror imaging. On the other hand, even the complex designs are simple to see on its back lit display screen. The in-built design of the machine has frame shapes, quilt patterns, scrollwork, border styles, floral designs and a lot more. Brother PE770 embroidery only machine is in fact a great tool to make superb embroidery projects without investing much time. You can easily select from wide range of 136 in built designs as well as 6 alphanumeric fonts. You can also transfer the designs from compatible USB stick for some extra options. The machine also lets you save designs for future reference. Who should buy this PE770 Embroidery machine? 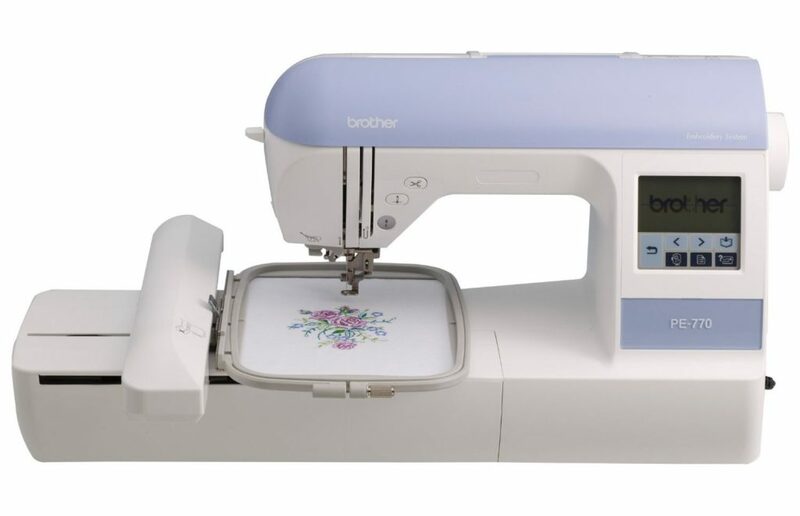 Brother PE770 is the perfect choice for all those who are looking forward to have a dedicated, easy to use, cheap and versatile embroidery only sewing machine. The best part is that you will not have to spend much time going through the manual. The instruction manual included does not explain the way to hoop anything apart from the flat piece of material or fabric. The screen is black and white with a few editing choices. 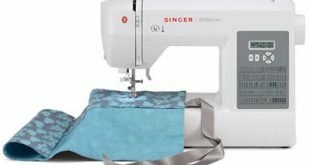 Next 5 Best Leather Sewing Machine – Design your Dream! Weird. I’m reading a lot of reviews like that that state the PE-770 will come with a variety of feet. If it’s an embroidery only machine, why does it come with feet? Do you have to change them our for certain types of embroidery?? I just edited the content. There was a mix up with another version. Terrible mistake. like you said, its an embroidery only machine. You only get the standard embroidery foot for the PE770. Depending on the online shop, some bonus accessories might vary. Does it do the stretch stitch, can it be used for sewing knits? Or for that matter, can I use it for everday seeing ? Yes! that is what its specifically designed for.